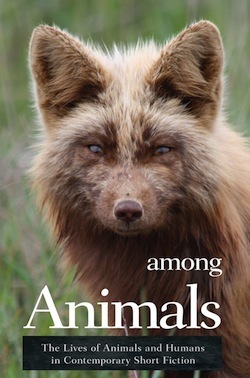 Q: As an American writer living in Japan, what are the similarities and differences in the ways animals are perceived and treated in each country? A: Animals are generally treated with reverence in Japan, probably due to the Buddhist belief that every life is sacred. There is a large pharmaceutical company headquartered in the prefecture where I live. Although the company sometimes uses animals to test products, there is a shrine on the premises dedicated to the creatures who were sacrificed to the cause of human health. Conversely, as far as I know, there is nothing like the Society for the Protection of Animals in this country, although there are activists here and there. You may have heard of the proliferation of animal cafés in Japan. Because most Japanese people are too busy to take care of pets, or because they live in small spaces in the city, cafés featuring cats, rabbits, and even owls have become popular. The idea is that people can relax and enjoy being with animals, or experience nature in the midst of the city, but it’s rather unkind to keep owls in a coffee shop, I think. Q: In “Blue Murder,” Keita loathes one type of bird while falling in love with another. In what ways do you feel this informs humans’ relationships with animals? Q: What does the kingfisher represent to Keita? A: For Keita, it represents another life. Freedom. He’s having a hard time seeing the good things right under his nose. He feels unappreciated by his family, assaulted by crows, jealous of his sister who doesn’t have the heavy responsibilities that he has. I would love to visit a cat cafe, but failing that, thank you for bringing me another good thing: this Q&A with Suzanne Kamata. Always a pleasure to read her words. I love reading the stories behind these stories…including yours, Diane!